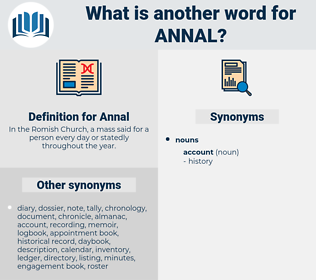 What is another word for Annal? In the Romish Church, a mass said for a person every day or statedly throughout the year. 91, 92. 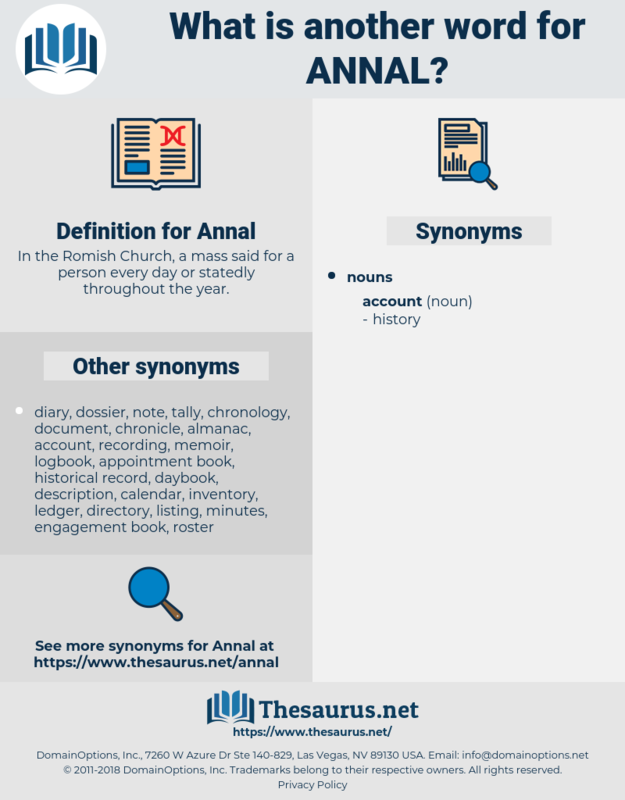 79 See Abulfatach's Annal.